The 23 members New York Drama Critics’ Circle certainly know what they are talking about. 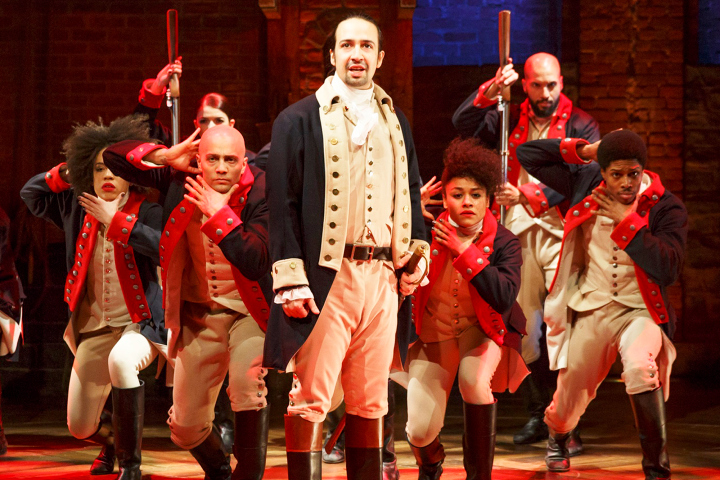 Today they named “Hamilton” best musical of the New York theater season and “Between Riverside and Crazy,” the Pulitzer Prize-winning play about a retired policeman facing eviction, as best play. “Hamilton,” which just closed at The Public Theater has received reviews made in heaven. It is moving to a Broadway house this summer and will be eligible for the 2016 Tony Awards. “Hamilton,” written by, and starring, Lin-Manuel Miranda, has just concluded its Off Broadway run at the Public Theater. It is scheduled to transfer this summer to Broadway. “Between Riverside and Crazy” was written by Stephen Adly Guirgis, directed by Austin Pendleton and starred Stephen McKinley Henderson. Last year, the Drama Critics Circle named “Fun Home,” which had premiered at the Public Theater, as the best musical. Currently it is running on Broadway and is one of four nominees for this year’s best-new-musical Tony. So I wonder if these critics have any inside insights at winning in Vegas.